Every so often we meet a great guide, or fly tyer, or innovative pattern designer, or dedicated hard working promoter of the sport of fly fishing- although we may all try to do one or more of these great attributes, rarely do we find it all in one package. 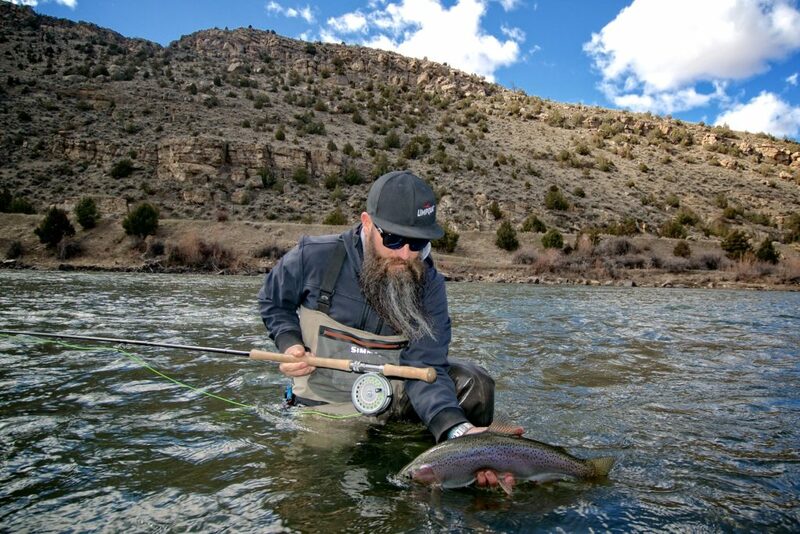 Meet Andrew Grillos, passionate about the fly world since age ten when he found the magic in fooling a trout with fur, feathers and foam, and soon- by age 16, he became a commercial fly tier, and many shops took notice. 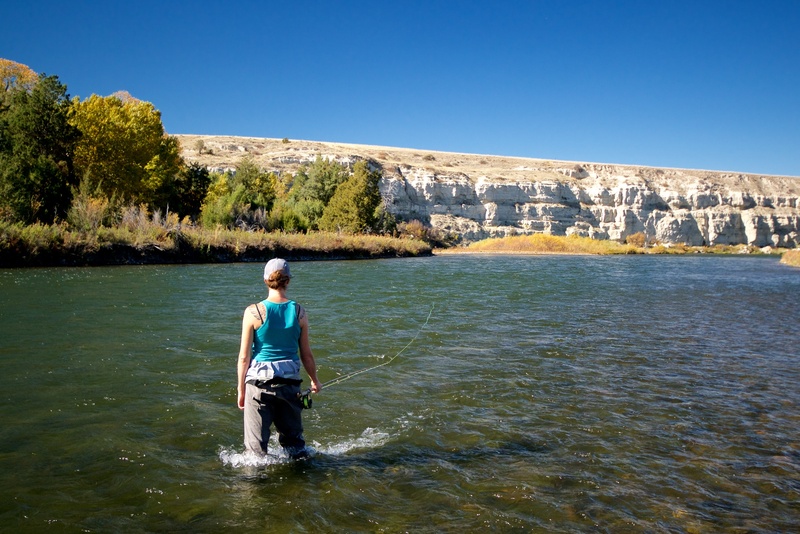 Andrew soon started to guide based in the Gunnison, Colorado region for more than a decade, Andrew relocated to Seattle Washington so he could pursue steelhead on the swing. We have been ‘social friends’ for some time and what attracted me to his patterns was the usual twist and improvement on known patterns that we use in the Great Lakes region. Taking a design and kicking it up a notch to make it either more durable or float longer, or completely doing a 180º approach on an existing fly, he has revolutionized terrestrial fishing for many anglers with his ‘Hippie Stomper‘. Look for future announcement of his tour to the Driftless Angler early June 2019 for a Tying Demonstration. He is also a guide of integrity, judging a good day on the water when clients have an enjoyable day on the water- keeping the experience real and managing expectations while providing a quality experience can be the most difficult part of any guests trip. Tail/overbody- Standard thickness rabbit strip. Barred or 2-tone look best. Hackle- Schlappen or Guinea feathers, Red. 1. Start thread at end of hook shank. Wrap a tight base back to around 1/3 point. Work back to ¼ point and tie in Size M lead eyes. Use plenty of x-wraps to secure them. A drop of super glue doesn’t hurt either. Continue tight thread base to end of hook shank, about even with the barb. 2. Advance tight thread wraps back up to the eyes. Remove hook from vise and poke hook through your rabbit strip. The furry side of the rabbit strip should be on the same side of the hook as the hook point. Make sure to leave enough of a strip to tie it off on top of the eyes. Put your hook back in the vise, upside down. Tie in Bills Body Braid right behind the eyes. 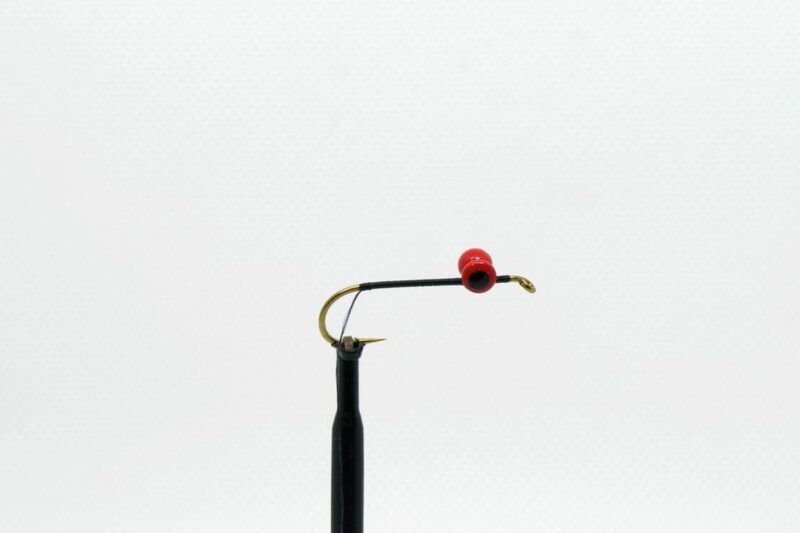 Make touching wraps down to the end of the hook shank and then back up to just in front of the eyes. This 2-layered body adds a bit of bulk to the underbody. 3. Pull the rabbit strip pretty tightly forward and tie off just ahead of the eyes. The tier can optionally add a bead of superglue along the body here, and then pull the rabbit forward, however I opt for a single small drop after the fly is finished. (Explained below) Tie in a red schalappen or guinea feather by the tip. Stroke the feather’s barbs back, so they’re all facing the same way when you wrap them. 4. Wrap the hackle forward, in touching wraps. Ideally you’ll get 3-5 turns of hackle in here. 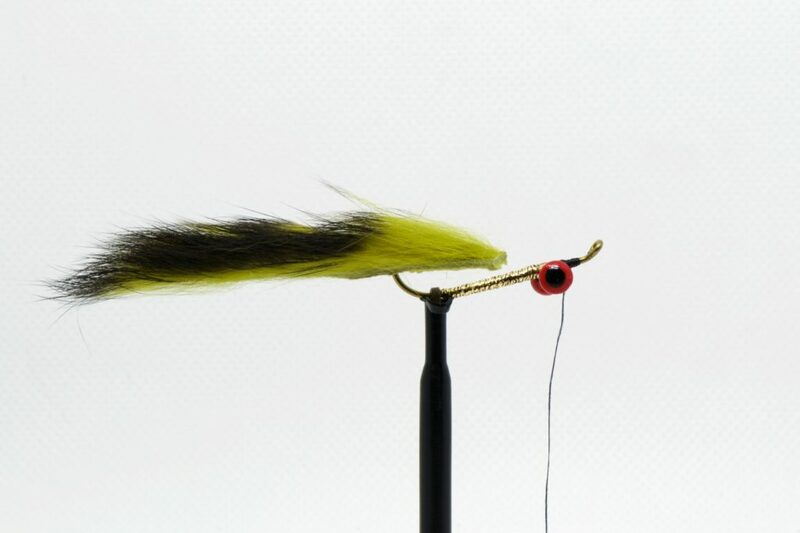 Separate out 6 strands of the Hareline Grizzly Flutter legs. I cut them in the middle, so the fused ends stay together. I then tie the fused ends down, on either side of the hook, so there are 6 legs on the close side and 6 legs on the far side of the fly. Try to angle them so they are flared out to the sides and down, less so up. 5. Cut, clean, and thoroughly stack a chunk of deer belly hair. I prefer to use one clump of hair for my muddler heads, I like to cut a short, steep taper when I trim the head, and this is easiest with one clump of hair. Line the hair’s tips up a little ahead of the hook point. Make a few loose wraps to secure and position the hair. Carefully spin and flare the hair. Once the hair is evenly distributed around the hook, pull the hair out of the way and sneak a whip finish or a few half hitches in, right behind the eye. With a double-edged shaving razor, trim the fly’s head into a short, steeply tapered head. Add a drop of super glue at the point where the hook pokes through the rabbit strip, this will make the fly more durable. Run a bit of head cement around the thread head as well. The “Stranger Thing” is my solution for a simple and effective streamer that rides with the hook point up, has lots of good movement in the water, and can easily be modified to match any different color of baitfish. Originally intended to be a simple, swing fly, this pattern excels in a wide variety of situations. 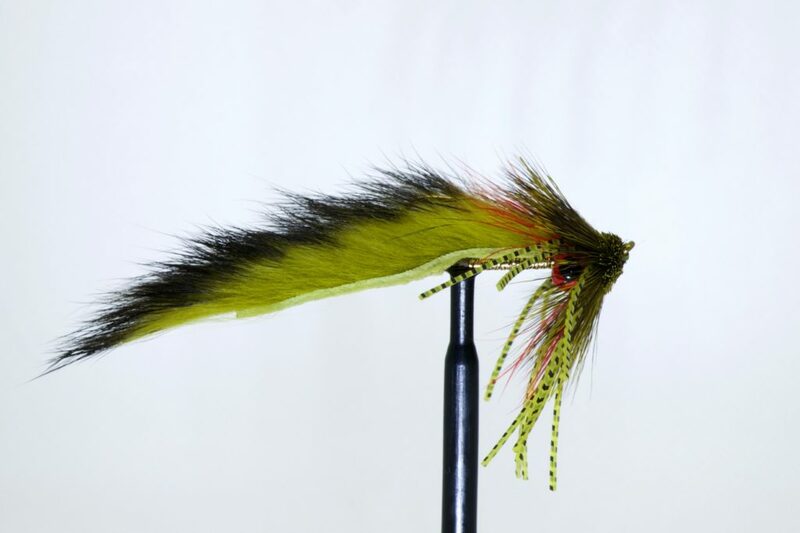 Swung on a spey rod, “down and across,” for trout, this fly works very well as it drops quickly in the water column without being overly heavy and has a bunch of great movement due to the rabbit tail and rubber collar. It’s not overly flashy, the only flash comes from the Bills Body Braid underbody. The location of the eyes combined with a down-eye hook causes this fly to ride with the point up, so it’s much less likely to hang up in the bottom. The Stranger Thing also fishes very well on the strip, fast or slow. Again, the lead eyes combined with a slender dressing cause the fly to drop quickly in the water column. It’s got a great jigging action when stripped in, darting up and down in the water. Another great way to fish my Stranger Thing is dead-drift or just barely twitched near the bottom. 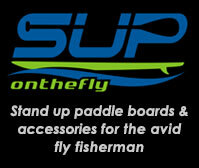 The fly rides with the hook up, so it doesn’t snag bottom all that often. It’s a great lead fly when indicator nymphed with a second (or even third) small fly following behind it. It doesn’t require weight to get down while nymphing and it’s got plenty of enticing movement while dead drifted along. 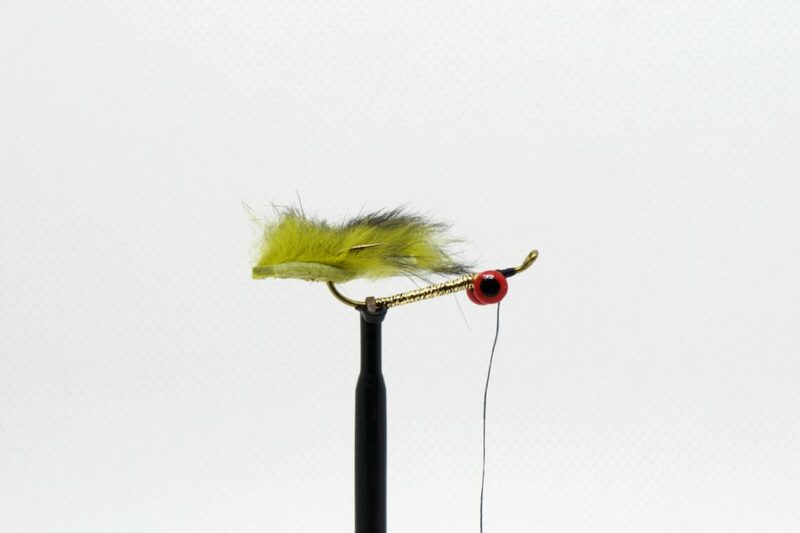 Another deadly Alaskan variation on dead drifting the stranger thing is to slide a troutbead on the leader in front of the fly and twitch it just enough to keep the “Egg Stealing Stranger Thing” bouncing along the bottom. 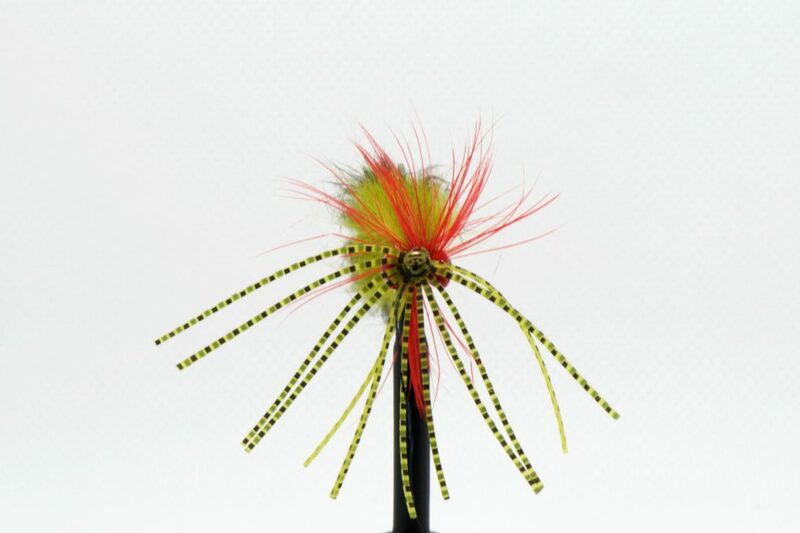 The fly can easily be altered to match any desired color combo. My 4 basic colors that are offered by Umpqua Feather Merchants are black, olive, brown, and white. These 4 colors cover most any general baitfish color one could want to match. 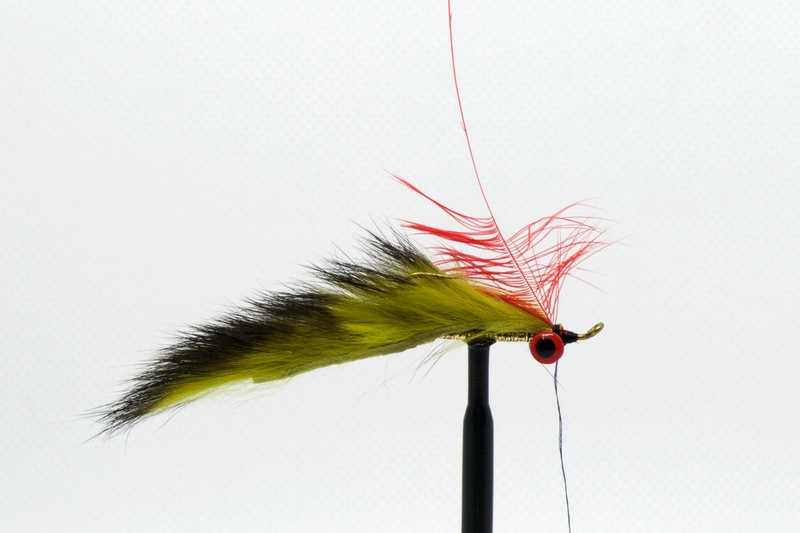 The fly can also be altered and tied in neon colors to pursue steelhead. Again, the fly isn’t too heavy that it can’t easily be fished on a spey rod and swung for steelhead or salmon. A fly angler for nearly 30 years, fly tier for nearly 25, global full-time guide for 13 years, and now design engineer, Andrew Grillos’ fishing experiences have shaped his fly design style to produce purpose driven, simple, and durable flies. Whether it’s swinging flies for steelhead, casting a big foam dry along a deep undercut bank, or messing with carp and warmwater species in an urban setting, Andrew finds fly inspiration in all fishing experiences. Andrew resides in Bozeman, Montana and spends a great deal of his free time exploring the practically limitless fishing opportunities within a few hours of home. Most of those fishing trips are spent trying out new fly ideas or working out new iterations of current ideas. Andrew is happy to have Umpqua Feather Merchants produce upwards of 2 dozen of his unique fly ideas and is always working on adding to that list.